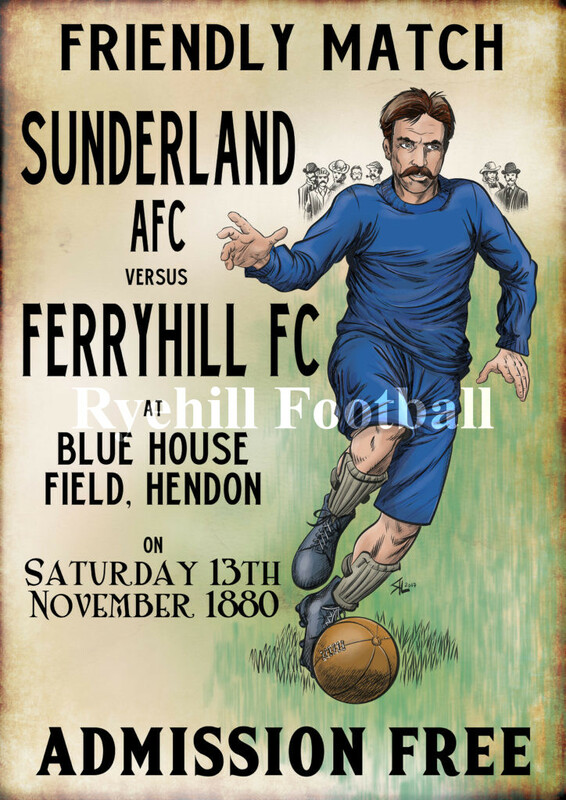 Ryehill Football has teamed up with Marvel Comics graphic artist Russ Leach to celebrate Sunderland AFC’s very first match against Ferryhill in 1880. The resulting Art Print shows the clubs founder James Allan charging towards the Ferryhill FC goal wearing the clubs original all blue strip. This is a limited edition Art Print run of just 10 copies. After that it will be retired. Own a unique piece of SAFC memorabilia. The Art Print is produced on quality 250GSM silk paper and is a huge A2 Size; 60.0 x 42.6 cm. There is a small white border around the edges for framing purposes. It is priced at £15 plus £5 postage & packing. Please click on the paypal button below to purchase a copy. Hi Paul – please keep me posted on this one – thanks.